Producing some of the best product technical support in the industry. Our fully equipped, top of the range technical studio mixes all pensions, taxation, trusts and investments information perfectly. Our skilled product technicians have over 65 years' experience, giving you the expertise you want, first time around. The pace of change for pensions never slows. Our technical team are here to break down the complex rules into simple bite-size pieces making pension legislation easy to understand. Understanding the complex rules for on-shore and off-shore investment bonds and how they integrate with UK tax is essential. Our technical team are here to give you the low-down on the full range of investment bonds and the advantages they may offer your clients. `Trusts are an effective way of managing assets, enabling clients to control and protect family assets, and to pass on assets in the most tax-efficient manner. Our technical team can help you understand the technical aspects of trusts. The tax year end provides a great opportunity for you to review your clients' portfolios and make sure they're making the most of the tax-efficient investment options available to them. 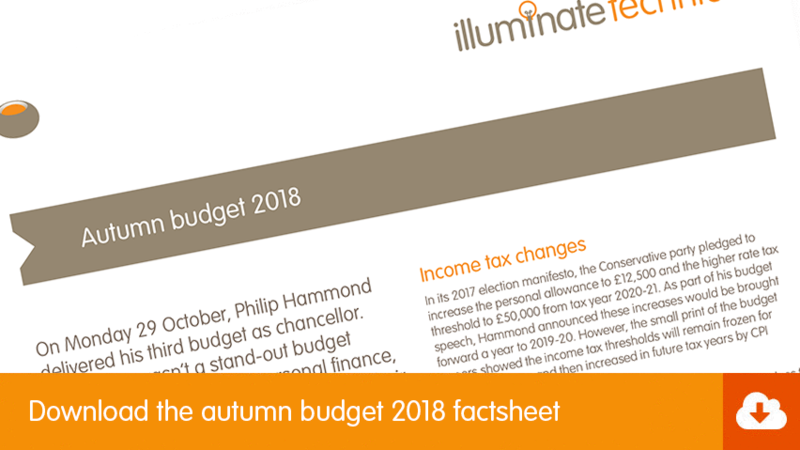 Below you'll find lots of information on the key opportunities surrounding tax year end, including factsheets, videos and tools. 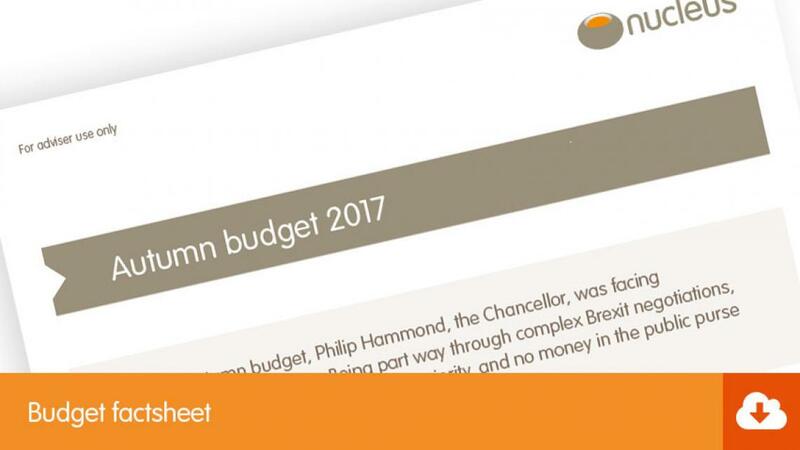 On Monday 29 October, Philip Hammond delivered his third budget as chancellor. Although it wasn’t a stand-out budget speech for pensions and personal finance, there are a few elements advisers and their clients need to be aware of. 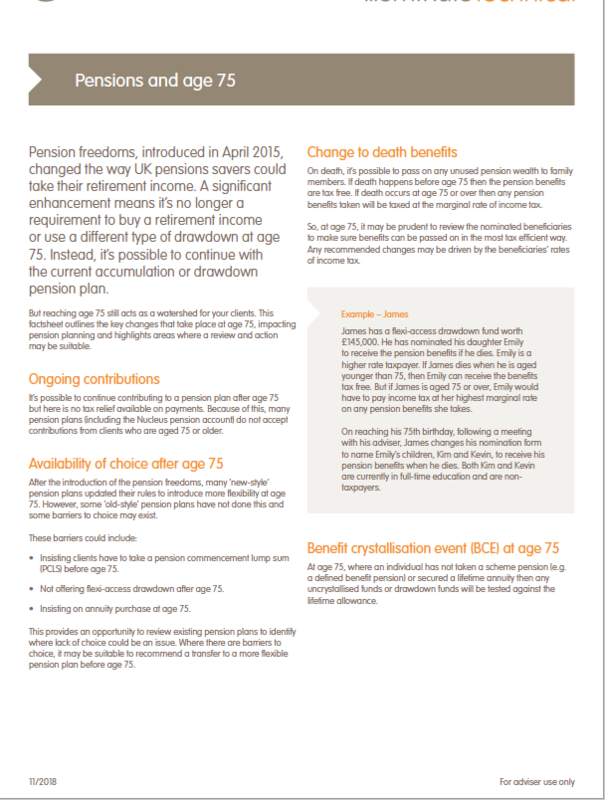 This factsheet gives a summary of the main headlines. Are we ready for drawdown as the new normal? In June we hosted a panel of leading industry experts in a roundtable discussion about retirement income and how advisers should adapt to meet the evolving needs of clients in a post-pension freedoms world. The discussion focused on the increase in clients turning to pension drawdown as an income in retirement. 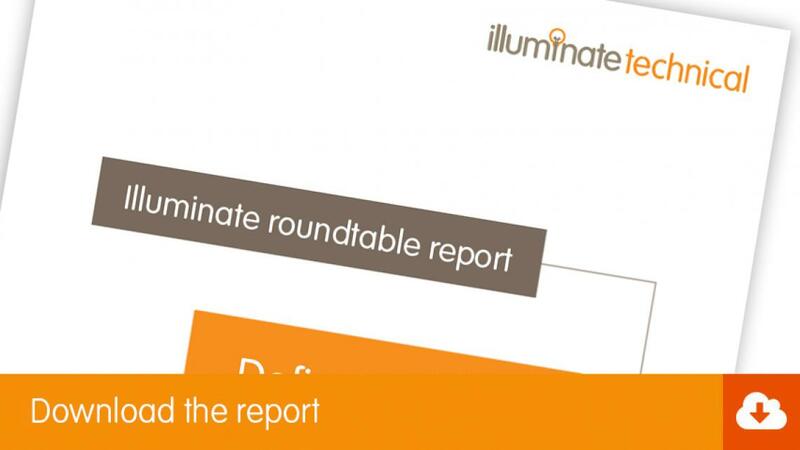 We produced a report with the key points from the discussion as well as a short video summary of the key discussion points, both of which are avaialble to download below. Is three years a long time in financial services? On one hand it seems like an age since pensions freedoms were introduced in April 2015. My fundamental worry is that the market framework should have been developed by now to help the 1.5 million consumers who have already made their retirement choices. On the other hand, three years is just a blink of an eye, and we are only just now beginning to understand exactly what these changes mean and how this market could evolve. The FCA recently published a raft of new rules to give advisers a more robust framework for giving advice on defined benefit (DB) transfers. Alongside this, the regulator is consulting on a number of other ways it can improve the quality of pension transfer advice overall. Nucleus product technical manager Rachel Vahey has pored over the FCA documents and pulled out some of the key takeaways for advisers. These include the role of the pension transfer specialist, the debate around contingent charging and the next steps for the regulator. Check out an overview of the FCA’s stance on DB transfers, as well as watch Rachel talk through the implications of the new rules. For more information, we’ve also put together a handy factsheet with more detailed information about the regulator’s expectations around DB transfer advice. Tax year end, where advisers around the UK breathe a collective sigh of relief, is firmly behind us. But it is now that that tax and financial planning for the 2018/19 tax year begins in earnest. Here, Nucleus product technical manager Jon Gwinnett outlines the five changes you need to be aware of across savings, pensions, tax and investments. Jon discusses the treatment of Isas on death, and in particular the additional permitted subscriptions (APS) rules that apply to transferring the value of the Isa to a widow or widower. Importantly, he also clarifies the definition of 'living together' as it relates to the APS rules. He recaps changes to the lifetime allowance and to Scottish income tax rates, and why the latter will mean platforms and pension providers will be scrutinising information like National Insurance numbers that much more closely. Jon also touches on changes to the dividend allowance and capital gains allowance, and the implications of these changes for investment and planning strategies. Tracyann is a senior product technical manager at Nucleus. She is a tax, trust and product technical specialist. 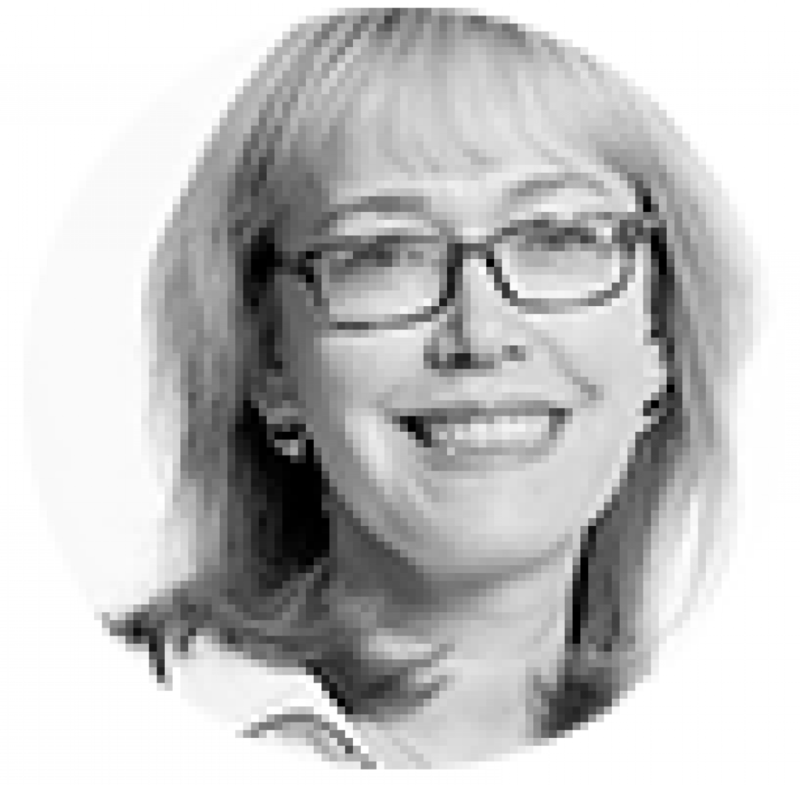 Her role at Nucleus includes providing technical expertise, particularly in the areas of bonds and trusts, across the business. 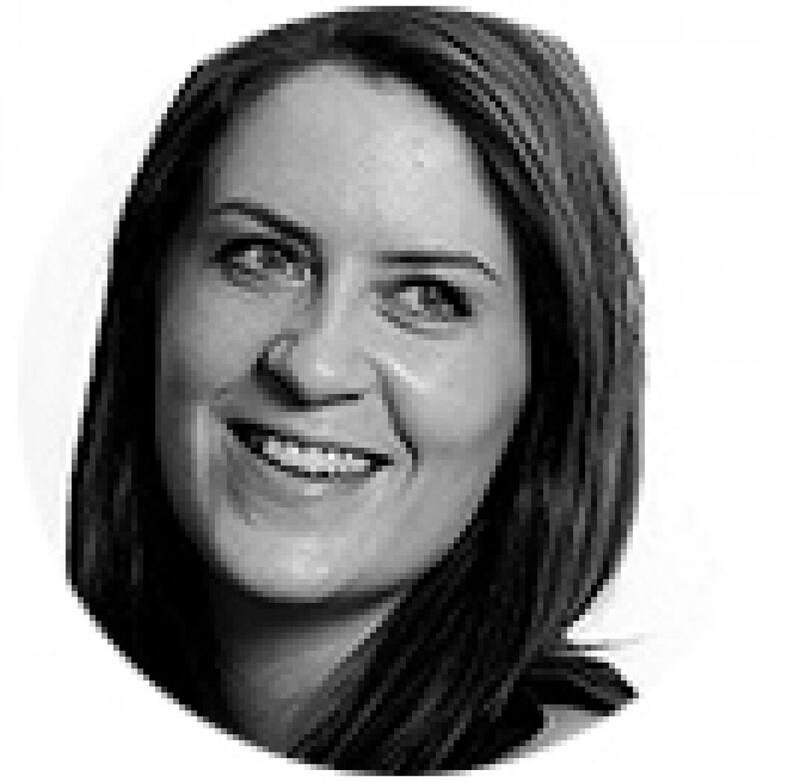 She also enjoys delivering technical training within the business and to advisers, as well as writing on technical matters. 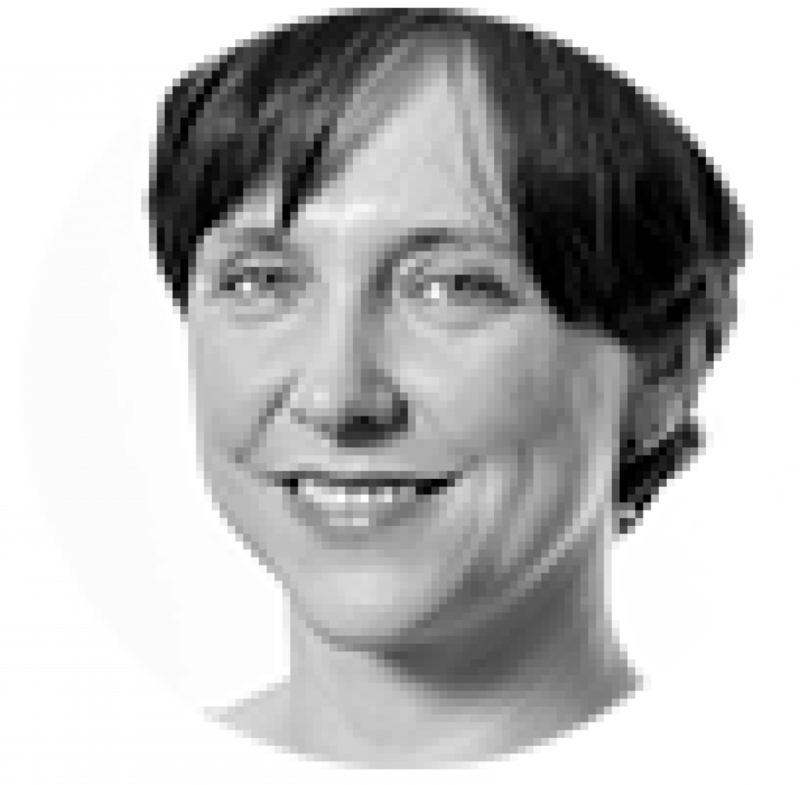 Rachel is a product technical manager at Nucleus where she delivers technical training to users of the platform and, also provides technical expertise in the form of factsheets, blogs and other content. She also has a policy role working with government, regulators, industry bodies and advisers. She has over 20 years’ experience of working in pensions. She’s well known within the pensions industry, and writes, presents and tweets widely on the subject. All of which she thoroughly enjoys. 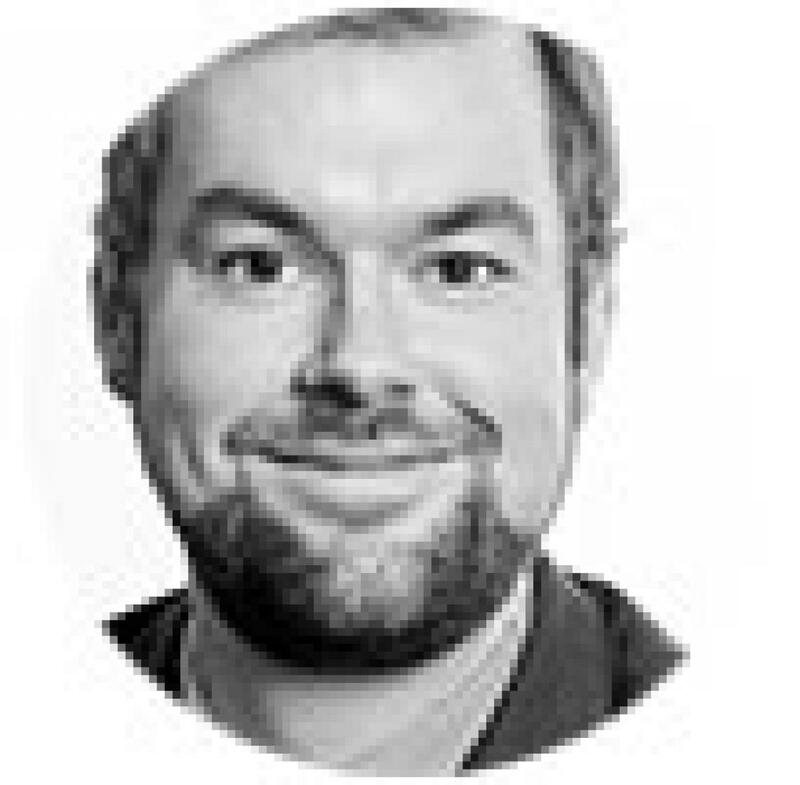 Jon is product technical manager at Nucleus and supports the customer relations and wrap operations teams on pension matters, maintains oversight of third party pensions processes and assesses the legislative changes in the marketplace. Ali is a product technician where she provides support to areas of the business, such as the client relations team and the account management team, on a wide range of product technical matters. She also helps progress change and enhancements to our suite of wrapper products, and supports the regulation and governance of products. Andrew is our newest product technician, having joined from our CRM area. He works across a range of wrappers and provides assistance to advisers, our Client relations team and other Nucleus teams across all our wrapper types, and hopes that some of the knowledge of our resident gurus will rub off on him. Iain is a personal tax specialist and the newest member of the product technical team. 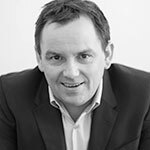 He joins Nucleus with over a decade of experience in various accountancy and professional services firms. 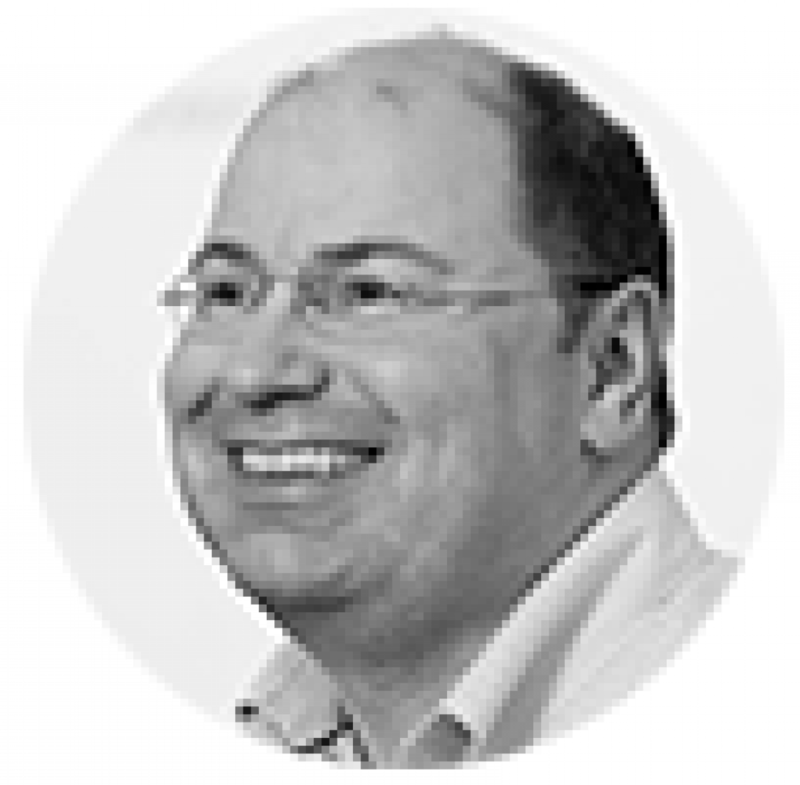 Iain draws on his knowledge, skill and experience as a tax adviser to bolster the team’s technical expertise as well as support the wider platform operations function and many other areas of our business. “In our industry having the right technical information at your finger tips is a must. The Illuminate Hub already offers the opportunity to assemble knowledge and share information about developing a business. We wanted to build upon this to give financial advisers and paraplanners access to a mass of technical information that’s easy to navigate and understand. This section discusses the rules when pension scheme members die. From age 55, individuals can withdraw as much of their pension benefits as they want, whenever they want. 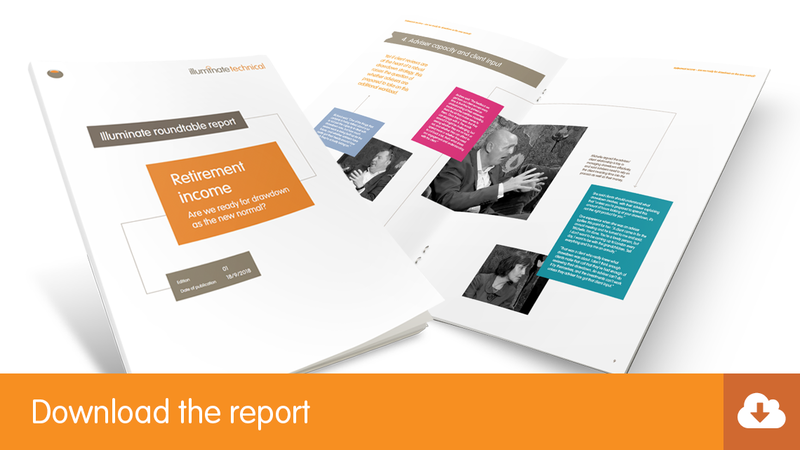 This factsheet outlines the key changes that take place at age 75, impacting pension planning and highlights areas where a review and action may be suitable. Isas are a key part of a client’s financial planning. This factsheet explains how the money purchase annual allowance (MPAA) affects defined benefits pension savings. This section discusses how much individuals can withdraw from their pensions and the protections introduced. Outlines the new rules for advice on pension transfers from defined benefit schemes, as well as considering the questions the new consultation raises. 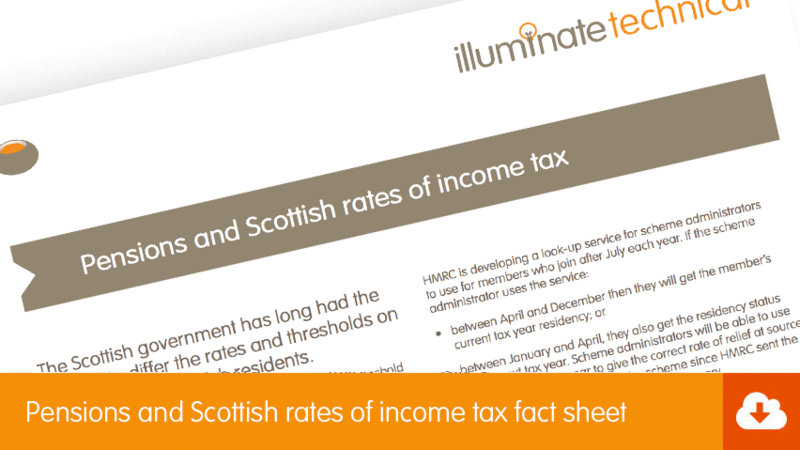 This factsheet highlights tax planning points in relations to tax and income for the tax year end. In this factsheet we consider a range of planning points in relation to tax wrappers and tax-efficient investments for the tax year end. Taxpayers with any offshore component to their financial affairs should review their position now to determine whether they need to make a disclosure under the RTC before 30 September 2018. The tax-free dividend allowance – what options do clients have? In this factsheet, we look at things to think about for the tax year end in relation to Isas in the approach to the tax year end 2018-19. A Junior Isa (Jisa) is a medium to long term tax-free savings and investment account for children. There are key differences between onshore and offshore bonds, meaning they may be more appropriate for different types of investor. Have you seen illuminate online? Illuminate online is designed to help you build and share knowledge in areas that are vital to the successful development of your businesses. The online hub is updated daily and includes interactive, motivational learning materials across articles, videos, white papers and events written and shared by experts from across the industry. Contributors include Carl Richards, Lucian Camp, Abraham Okusanya, Mark Polson, Pete Matthew, Steve Bee, Bridget Greenwood, Phil Billingham and many more. You could be one of them.